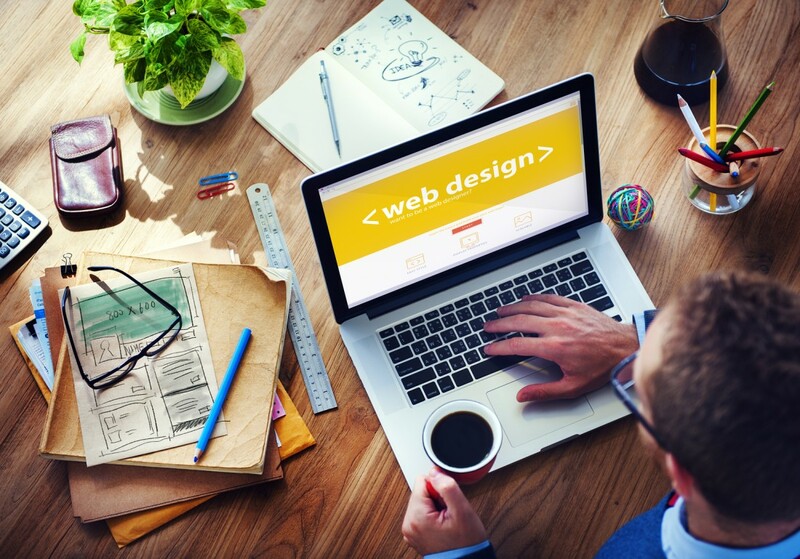 There are many profitable benefits to getting web design for your business in Tampa. If you think about it, all the biggest and most widely recognized companies also have some of the most captivating websites. Why is this? The giant marketing teams at these companies are managed by experienced, proven masters of the craft who understand the importance of online advertising and presence. Together, these two basic ideas have propelled a number of businesses to become a prevalent part of consumer life. The brand becomes memorable, and, soon after, desired. It is evident, then, that the goal for your business should be to create a web design that attracts Tampa customers. A captivating yet easily understood user experience accomplishes this while also ensuring your brand name is locked into their minds. However, the most important is by far your businesses’ site because that serves as the home base for the rest. Over our 16 years of marketing and online advertising, we have noticed Tampa residents regard UX as the most significant aspect of web design. UX, or user experience, is the experience people have when navigating your domain. The emotions they immediately feel usually determine whether or not they stay. For instance, they may feel frustrated and give up because they cannot find what they want, or because it is confusing. Perhaps, instead, the viewer abandons your site because the animations are too flashy and intrusive. No matter the reason, we have the experienced and knowledgeable developers to fix the problem. Our web design gives Tampa viewers immediately what they want while making it easy to find additional information. We all know how cumbersome using a poorly built app can be; let us eliminate your risk of becoming one of those apps. Another one of our most important features is our specialization in local SEO content creation. SEO, or Search Engine Optimization, is a way to make your name appear first in search results. By appearing on the first page, the average person is much more likely to click your link over any of the rest. This means more people see your products and services, which leads to increased revenue. Thus, our web design does more than make your Tampa business look pretty; we also offer local SEO expertise to rank your brand above the rest. Along with skyrocketing on the charts, your site is also filled with interesting and compelling information to keep readers’ attention longer. This allows you to become a reputable resource for information and helps to establish trust between the business and the consumer. We also guarantee to output a certain amount of well-informed articles so that you also become a consistent, reliable source of information. A constant and looming concern for many Tampa business owners that already have a site is whether our web design works on their platform or CMS. You can rest assured we have got you covered because our developers have a broad range of skills and can work on a variety of platforms. If we determine it is better to use something different, however, we can build an improved site using a different framework and make the conversion seamless. No matter what your current needs are, and regardless of the current stage in development, we can create a beautiful online experience for you and your customers to enjoy. Our professionals have the skills and creative sense to bring your imagination to life. When you choose us, your Tampa business gains access to web design that goes beyond making something pretty. We also specialize in marketing and advertising for your site, creating desirable user experiences, and making your name recognized. Give us a call at 727-531-7622 to find out more about your online solutions.